Acta Non Verba is grateful to all our generous donors! 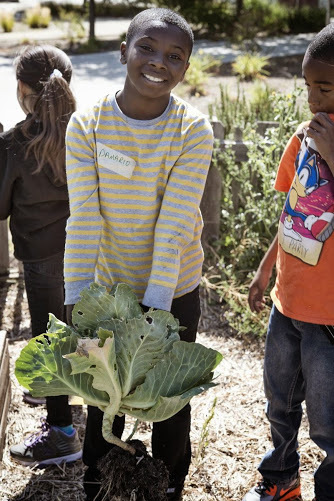 Here is how you can give to join the ANV community and help us engage youth and and deepen their understanding of nutrition, food production, and healthy living so that they go on to lead productive lives. Donate to ANV today and help plant the seed of a brighter, healthier tomorrow! Imagine a child who has never seen carrots in the ground or screams in fright at a worm. This is the reality of many of the children (and adults) we work with. Your donation will support ANV’s vital programs in education, economic empowerment, and access to green, safe spaces and healthy food to a community sorely lacking in these areas. Thank you for your donation! *Acta Non Verba: Youth Urban Farm Project is an exempt organization as described in Section 501(c)(3) of the Internal Revenue Code; EIN:45-0935667. Click on this link, enter the amount you want to give monthly and you are now a sustaining donor to Acta Non Verba – thank you! Looking for a way to support ANV youth? Check out our camp sponsorship levels to see where you can help a youth member be at Camp ANV…the BEST place to BE! Support us by joining our Community Supported Agriculture (CSA) – we deliver a bag of seasonal vegetables and fruits to the East Bay once a week at $25/week including home delivery! Click here to join.